When Amy prays for help, Loki isn’t the savior she has in mind. Disgraced and wingless, Archangel Michaela discovers the holy angels have a plan for Heaven, and it is one that may prove to be the End of Days. A moment’s compassion draws history student Aria Forsyth into a conflict between human and inhuman, natural and supernatural, and the world of the Fae. Doctor David Lephmann tries to aid a shifter in trouble, and is thrust into a world of violence and mistrust. The Greek god of Love and the human who caught his heart–Eros is a contemporary re-telling of the myth of Cupid and Psyche. Lily was meant to become a faerie doctor, disbelief and pragmatism led her away from the hidden world. She will be forced to face the truth, and the fae, if she wants to save her family. A New York teen studies abroad in Athens and discovers that vampires are real, and unwittingly becomes a catalyst to an uprising led by god. When children are abducted, Victoria, priestess of the Valkyrie, must work with her worst enemy to rescue them. The most powerful Angel that ever lived. The dangerous demon who holds her heart. Kristia Tostenson just found out her new boyfriend is the Norse God of Winter–an immortal assassin destined to die at Ragnarok. Camille discovers a family she never dreamed of and a world that should not exist. 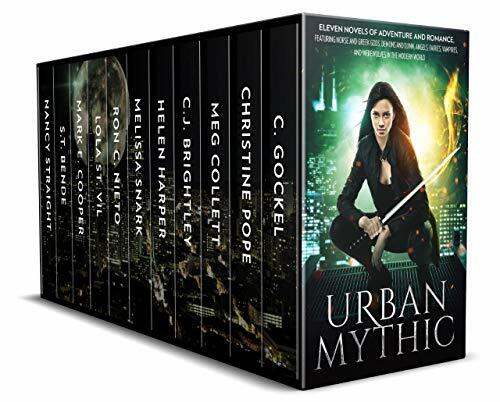 Click here to pick up your free copy of Urban Mythic Box Set in the Amazon Kindle store. They’ve been coming here for thousands of years, using Earth as a sanctuary to escape threats from their own kind. Mankind knows them as angels, and one of them left a child upon her death to be raised as a human. Raea is now a high school senior and her life as a human is about to end. The crystal shard she bears is not a pretty pendant; it’s a collective of powerful entities who chose her as their Keeper, a protector of one of the four shards that power a machine capable of destroying whole worlds. Those who desire the Starfire’s power have sent an agent to find her, but she’s too busy evading a nosy reporter ready to exploit her secret and dating a hot new foreign student to notice. Nevermind learning what she really is. Only one person on Earth can help her, the last person she ever expected. But he’s not from Earth. Life as a human would be so much easier. 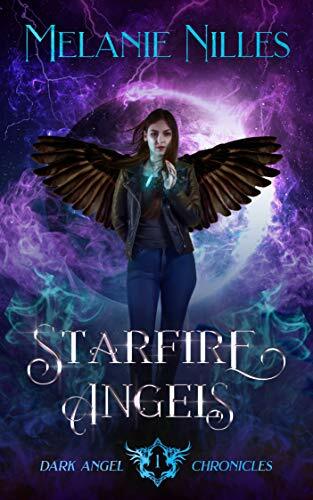 Click here to pick up your free copy of Starfire Angels in the Amazon Kindle store. 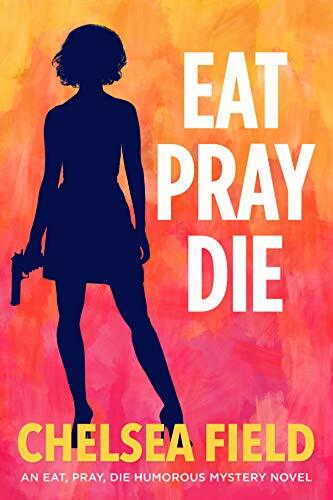 Click here to pick up your free copy of Eat, Pray, Die in the Amazon Kindle store. Gallagher Gray’s first Hubbert and Lil mystery’s got it all—a stuffy old firm with stuffy old routines disturbed by a few unaccustomed murders, a hilariously apoplectic boss, the indispensable brace of cats, and a clever amateur sleuths of a certain age. Break out the tea and cookies to welcome T.S. Hubbert and his unforgettable Auntie Lil! T.S. 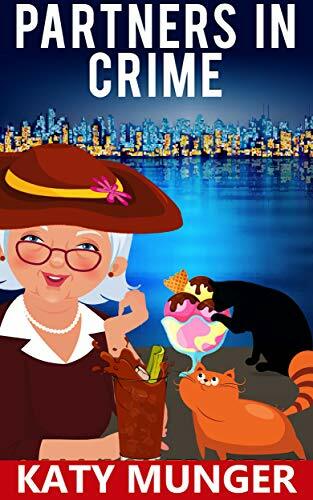 tells the story (and very wittily too), but it’s Lil who steals the show—she’s eighty-four years young, with a taste for bloody Marys at any time of day, a fine-tuned appreciation of life’s other pleasures, and a remarkable talent for detecting. It begins, as so many things do, with a phone call: T.S. (Theodore to Auntie Lil) has been retired about eight hours when he’s summoned back to Sterling & Sterling, the bank where he served as personnel manager for most of his adult life. One of the bigwigs is lying stabbed to death in the Partner’s Room and his demanding former boss, forgetting he’s no longer boss, is demanding a favor—damage control. Well, that’s certainly more interesting, thinks Theodore, than “interviewing the slack-jawed sons of clients.” And besides, now he can talk back to the brass. He can even dress like it’s casual Friday and no one can say a word. Although they do. A big part of the fun’s watching him shock his former colleagues with his sudden assertiveness. Because who can boss around a person who’s doing a favor? What starts out as damage control quickly evolves into full-scale detecting as more and more partners bite the big one in unexpected ways. Aunt Lil’s all over it from the first, demonstrating not only the necessary smarts, street savvy, and moxie, but also a feminine way of looking at things that leads to a surprisingly contemporary conclusion. Click here or type in http://geni.us/partnersincrime into your web browser to pick up your copy of Partners In Crime in the Amazon Kindle store. 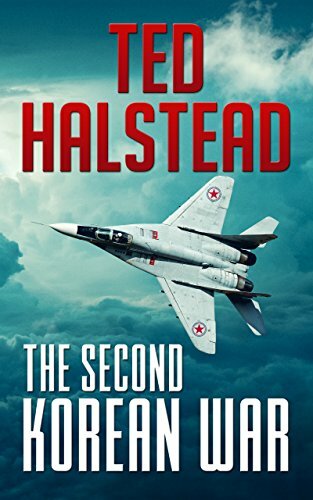 Click here or type in http://geni.us/thesecond into your web browser to pick up your copy of The Second Korean War in the Amazon Kindle store.